Delicate Arch welcomes the morning sun as snow-capped mountains form a backdrop. Sue stands on a ledge on the path to Delicate Arch. 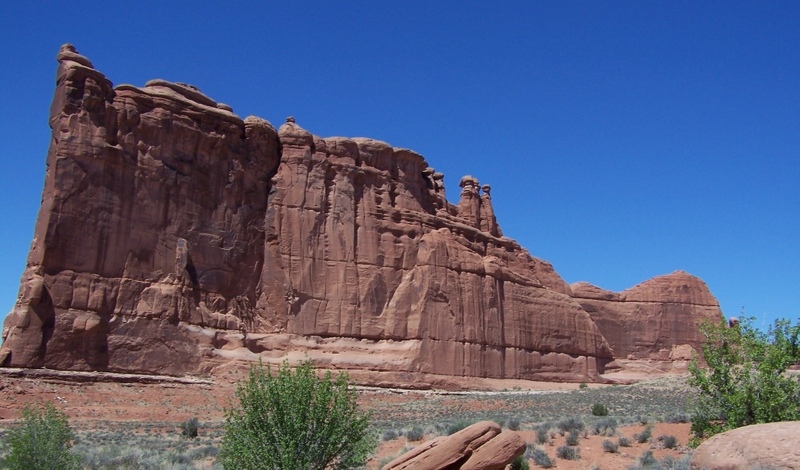 Violent forces lasting millions of years have produced one of the most peaceful and inspiring sites on Earth, Arches National Park in Utah. We knew that small parking lots at trail heads fill up quickly on busy days so we left early this morning, thinking a Monday would be a good bet. It worked. 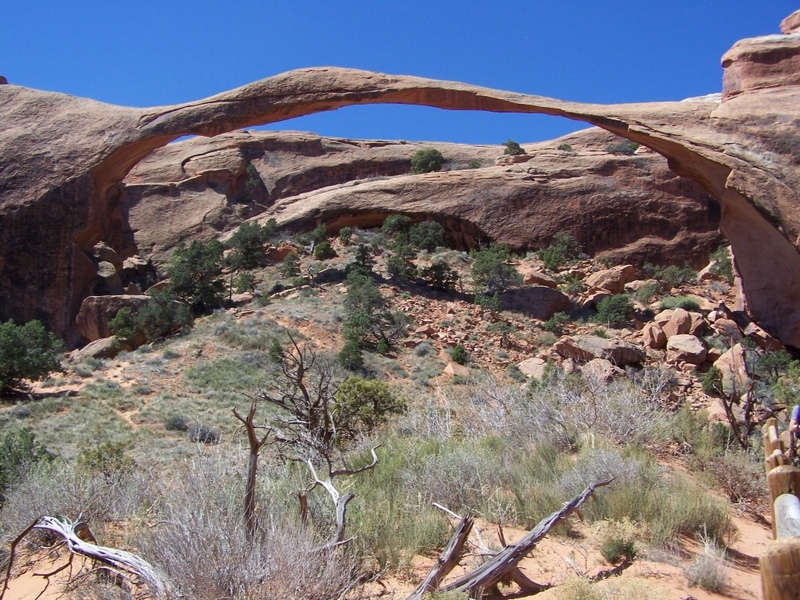 Formed by water and ice, extreme temperatures and salt movement underground, more than 2,000 arches grace the park. 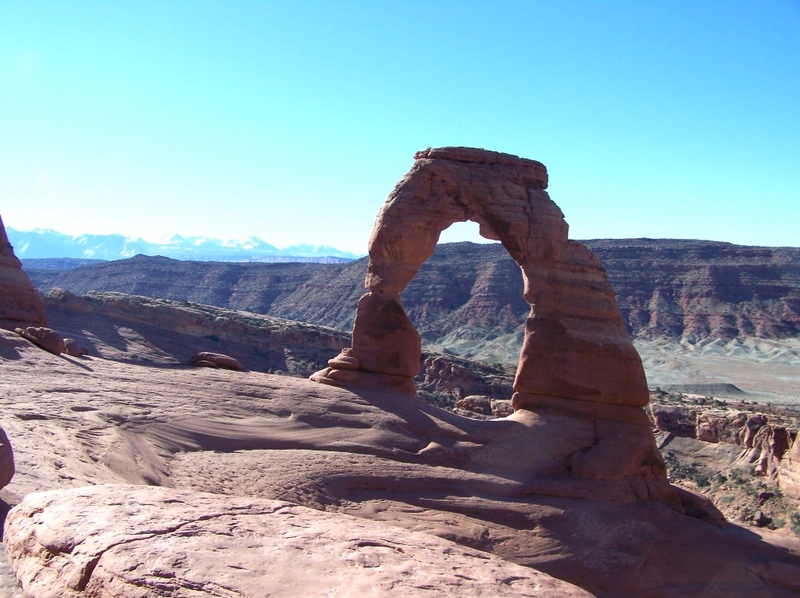 We started with the most popular, Delicate Arch, and the three-mile trek was almost as spectacular as the destination. By the time we returned to our car, the parking spaces were full. The park is expanding the lot, making us speculate about the resulting crowded conditions at the arch. 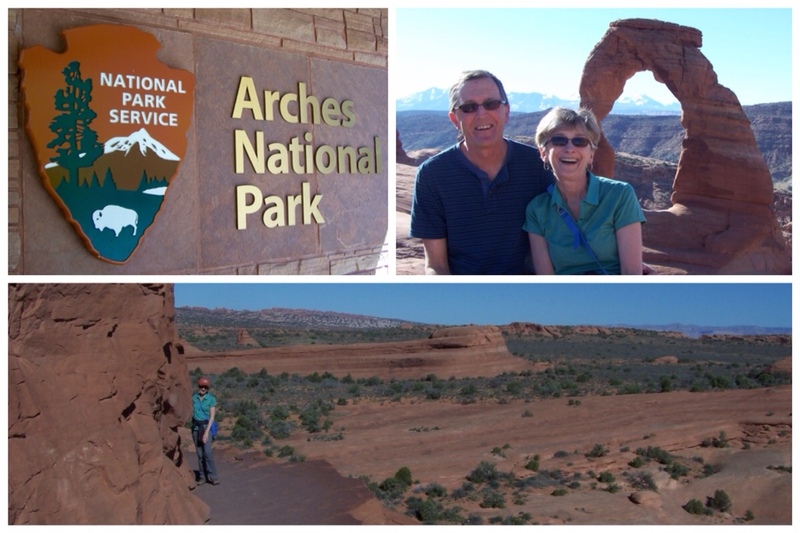 Another trek took us to Landscape Arch, the park's longest, at 306 feet. 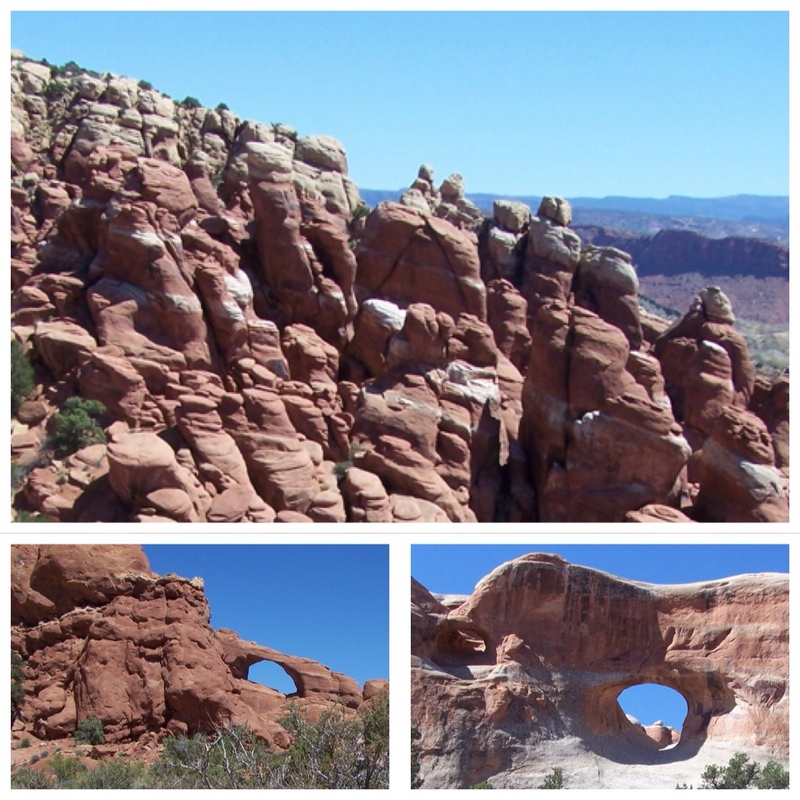 At the Fiery Furnace, top photo, we learned the redness in the rocks is caused by oxidized iron. They turn white when the iron is washed out. This park has much more than arches, as you will see when you visit the Courthouse Towers. This list rang home more than any other we have seen recently. We must all take responsibility for the care and maintenance of our personal trail to happiness. Happiness was a much discussed topic leading up to our recent move north. Leaving the life we knew to start over in a new city was exciting, but would we be happy? While scrolling through the news the other day, I stumbled upon this article – Ten Things Happy People Understand. Happiness, according to this article, will take a lot of work. But what in life that’s worth having ever comes easily? You may or may not agree with these ten points, but they certainly provide some food for thought. As for me, I’m reassured that we have a reasonably good shot of finding happiness here in Ashland. Reg and I have asked this question of each other many times since we first met. Over the years we've walked miles and miles together. The arrival of our three boys didn't slow us down. We once bribed them, one chocolate M & M at a time, encouraging their little preschool legs to complete the 3.5-mile loop around the Wawona Meadow in Yosemite. It took us the better part of the day! One of my favorite things about living in Ashland is being able to head out my front door and set foot in any direction. 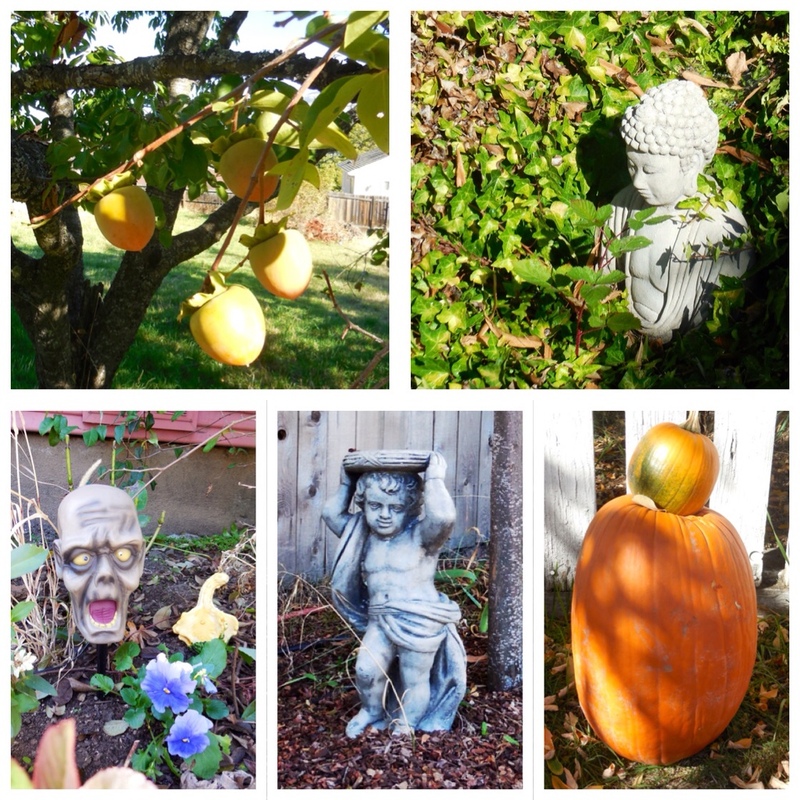 My walks have taken me uphill and down, through neighborhoods filled with beautiful homes and into downtown where restaurants and boutiques await. The fresh air and local beauty are my therapy. 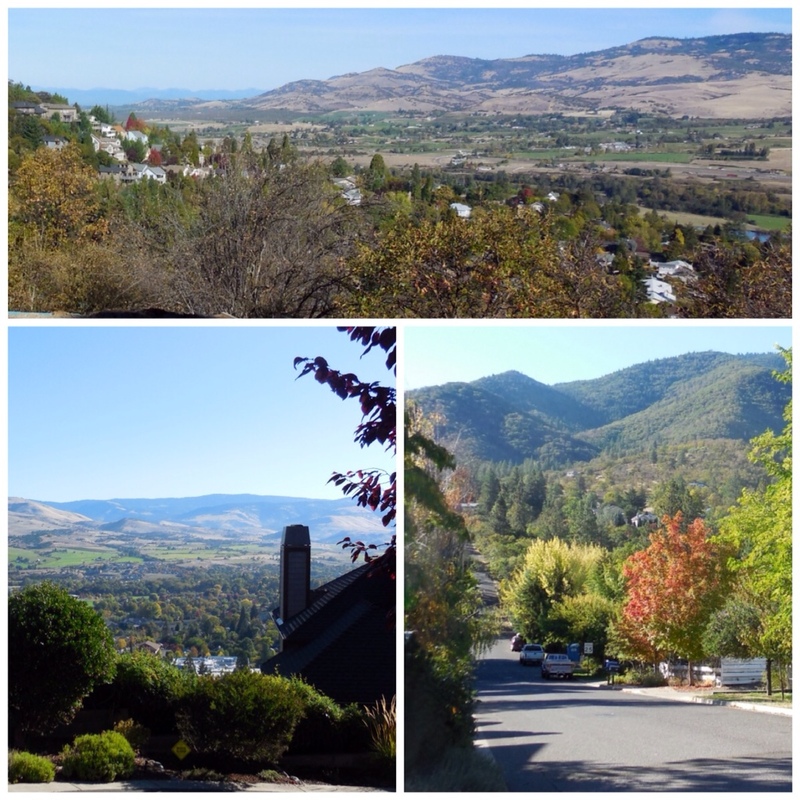 It took determination to conquer the hills above Ashland, but the views are well worth the challenge. Walking with my camera in hand made me see and appreciate the little things along the way. The slow pace of walking allows one to appreciate the the simple things in life; things that might otherwise go unnoticed. And the best part is that it doesn't cost a thing! 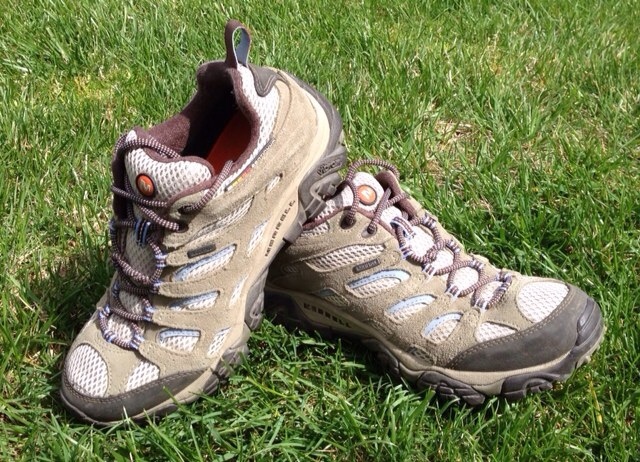 All you need is a pair of shoes, and you too can discover what treasures are hiding in your neighborhood. It will be fun…I promise! 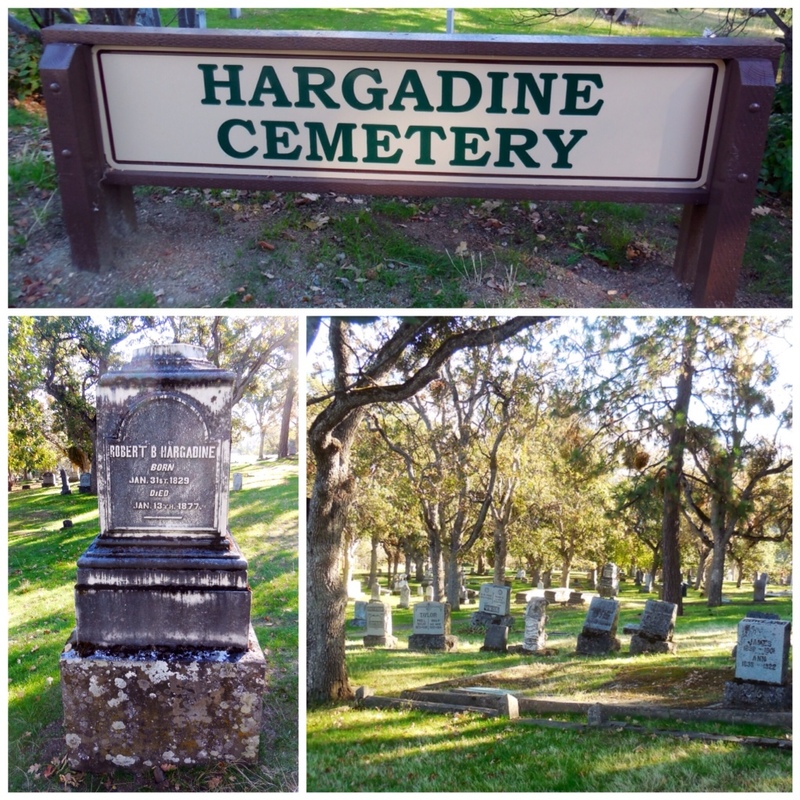 The Hargadine Cemetery is tucked into the hillside of a residential neighborhood. It is named on the U.S. National Register of Historic Places. 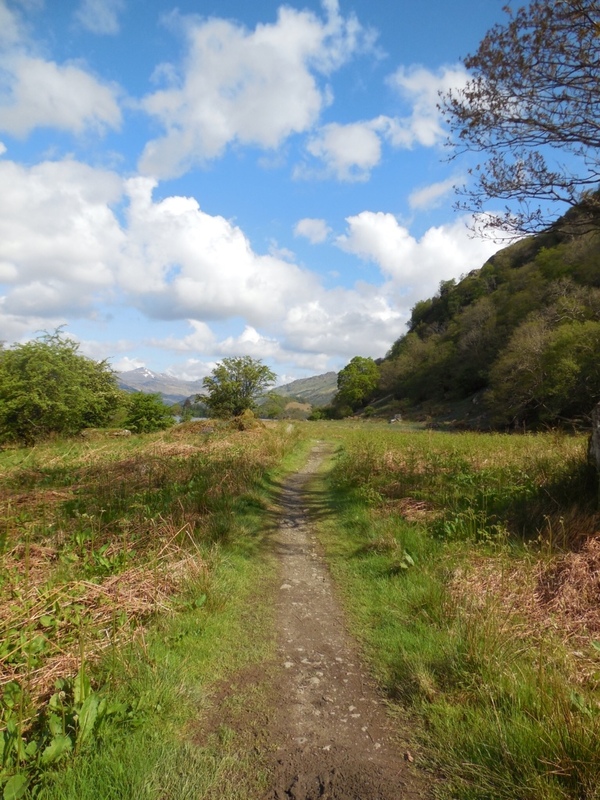 Sometimes there are lessons to learn from my wandering. I stumbled upon the Hargadine Cemetery one day as I was walking around a corner, downhill towards home. It was obviously a fascinating piece of history, so I couldn't resist wandering among the weathered headstones. After a little research I learned that Robert Hargadine was a local merchant and one of three original founders of this community once known as Ashland Mills. Sadly, his one-year-old daughter was the first to be buried on the wooded slope back in 1867. Here’s a big dose of motivation! Or, is it overflowing with joy? Well, for this kid, happiness is a way of life. I have been fortunate to know some people like this. In a way, this reminds me of my amazing, late friends Ron and Craig. Their attitudes are still alive, with me, and many others, I expect. They make me smile!